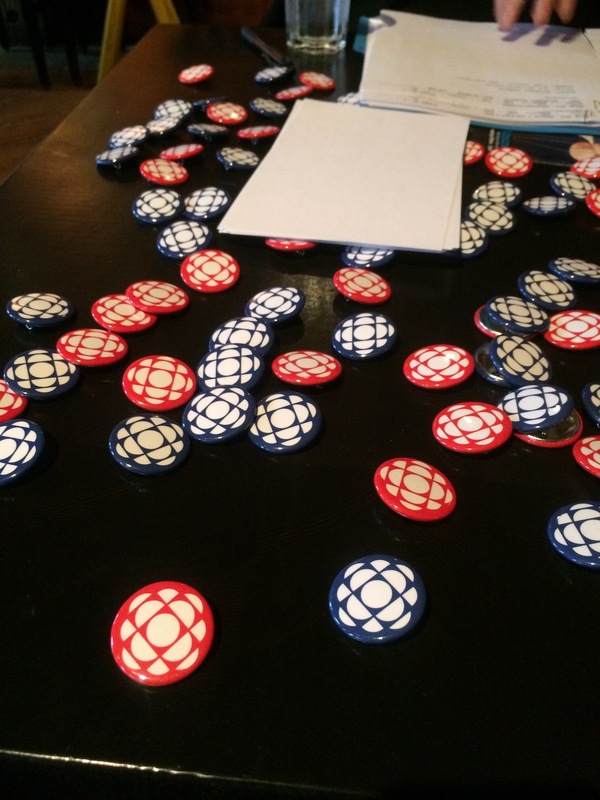 Earlier this afternoon we had the great pleasure of attending the live-casting of a special 2-hour edition of the CBC Radio show BC Almanac here in Whistler Village. Host Gloria Macarenko and her team did a great job of highlighting some of our town’s most pressing issues and biggest stories. There was a long line-up of guest speakers who contributed to the wide-ranging discussion. The episode opened with Michael Audain speaking about his new art museum, then went on to feature Val Litwin of the Whistler Chamber of Commerce speaking about the labour shortage and housing, Sarah Morden described Whistler’s efforts to host a Syrian refugee family. From left to right at the red table: Whistler Chamber of Commerce CEO Val Litwin, Whistler Mayor Nancy Wilhelm-Morden, BC Almanac host Gloria Macarenko, and Michael Audain of the Audain Art Museum. Back row: A Brewhouse Whistler server and a BC Almanac producer. Roger Soane of Whistler Sports Legacies spoke about the lasting impacts of the 2010 Games. Whistler-Blackcomb’s Rob McSkimming spoke about the ski resort’s 50th anniversary and the challenges posed by climate change, a discussion which also included Ian Bruce of the David Suzuki Foundation. Whistler Mayor Nancy Wilhelm-Morden shared her insights throughout the entire 2 hours, and several other guests contributed to the conversation as well. The Whistler Museum was happy to provide some stories from Whistler’s past that were interspersed throughout the production. 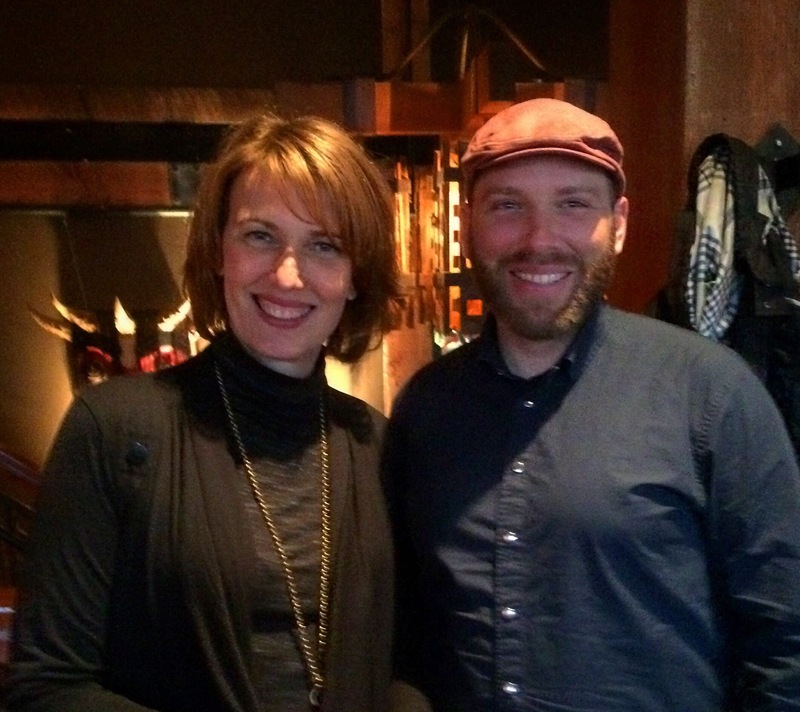 BC Almanac host Gloria Macarenko with Whistler Museum Programs & Community Manager Jeff Slack. The episode did a great job of highlighting the fact that Whistler is not just an international resort, it is also a community full of local residents with their own unique story. There were also a number of callers from across the province who contributed to the show, sharing wonderful and typically quirky stories from past visits or from when they used to live here, from the original “unofficial mayor” of Whistler to a juicy rumour involving Brandywine Falls, Nancy Greene, and arson. Just as the show wrapped up, host Gloria read out an email she received during the broadcast from a man who lived here and worked at Araxi Restaurant from 1981-84. Responding to the account of Sarah Morden’s efforts to bring a Syrian Refugee family to Whistler, the listener recalled housing and employing a group of Polish Asylum seekers who had jumped ship in Vancouver, and the generous support they received from Whistler at the time. It was a wonderful event to experience and contribute to, and we hope you give it a listen. We know some of you tuned in because there was a big spike in visits to our blog from people searching “Toad Hall Poster” during the broadcast! This entry was posted in Beyond Skiing, News & Events and tagged BC Almanac, CBC, CBC Radio, Gloria Macarenko. Bookmark the permalink. Great to hear Schultzy’s voice after so many decades .